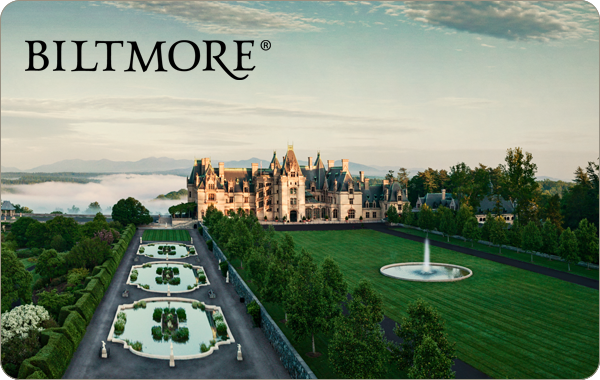 Treat someone to the unique experience of Biltmore with a gift card. Biltmore offers gift cards that can be used at estate locations for attraction tickets, tours, outdoor activities, wine programs, retail items, dining purchases, or overnight estate accommodations. Call or visit the Reception & Ticketing Sales Center to purchase. What is the minimum and maximum amount that I can put on a new gift card? The minimum amount is $15. The maximum amount is $1000. Can I use my gift card at Belk’s or other Biltmore-affiliated stores? No, gift cards may only be used through Biltmore.com or onsite. Guest may check their balance by calling the toll free number on the gift card at any time. Is Biltmore tracking personal information or shopping habits?